Cape Town - One of South Africa's top mountain bike stage races, the TransCape, has received a major boost with the news that Liberty will be the title sponsor from 2018. Liberty's chief marketing officer, Sydney Mbhele, said they were delighted to be associated with the race. "It takes preparation, endurance, dedication and team work to remain competitive in this sport," he said. "Our purpose of enabling financial freedom is enshrined on the same principles. "The journey to financial freedom is a long-term one. We have been operating for 60 years and our partnerships with our clients remain at the heart of what we do." The Transcape, with its picturesque route across the Western Cape, will now be known as the Liberty TransCape MTB Encounter. "We have an amazing relationship with Liberty on the Winelands and Waterberg Encounters and we have been chatting about adding a third event for some time," said De Villiers. "With the emergence of TransCape and the way it has fast-tracked since 2015, we felt this was the way to go instead of trying to create a brand-new event. "Our relationship with Liberty is a big factor as any event is greatly dependent on the way the organisers and sponsors work together." 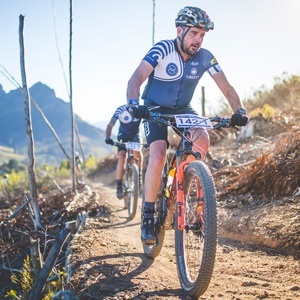 De Villiers stressed that the partnership elevated the Encounter Series to what they had set out to do a few years ago - to create SA's signature multi-stage mountain biking series. "The service levels, route, hospitality and all-round experience at the TransCape align perfectly with the Waterberg and Winelands events," he said. "The most important aspect for us is that riders know what to expect when they enter an Encounter. "It's like knowing you can eat at any restaurant of your favourite franchise group anywhere in South Africa. You know you can trust the offering no matter where you are." "It's obviously a different challenge to the shorter races, but we feel this adds a delightful new dynamic and variety to the series."